When Mr Gordon Goh first joined DBS Bank as a designer in 2014, most of his colleagues thought he was someone they could call on when their project was done to make things look nice, "change the fonts and colours", as he recalls. Since then, the 31-year-old has been on a mission to educate his 22,000 colleagues that a designer should be involved from the start. "Design," he says, "is about talking to customers before you even embark on your project and embedding their insights and experiences into every step of the process." The concept is summed up in the buzzword of the day in software design circles - "UX", or user experience. Mr Goh's role did not exist at DBS before he joined it. His recruitment reflects how different the finance sector's talent needs are today as it strives to stay ahead in a digital world. Indeed, banks all over the world, including here in Singapore, are overhauling their work cultures and hiring different types of people so as to become better innovators. Mr Goh was only the fourth member of the DBS Innovation Group, which was formed with the lofty mandate to transform DBS' culture into one that encourages innovation and entrepreneurship among staff. 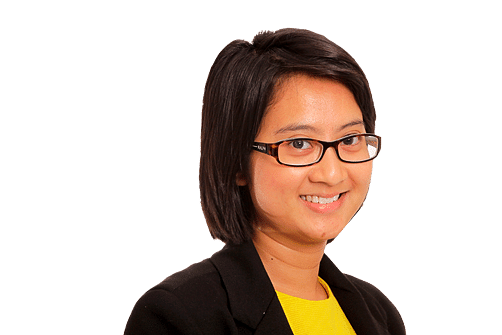 Ms Cade Tan, the group's head of partnerships culture who joined in 2011, recalls: "It was a very ambiguous job, and we didn't have any traction. Nobody knew how to innovate in a bank or what that even meant. We had to define it ourselves." And so in those early days, Mr Goh found himself as the go-to designer for all kinds of projects across the bank, from marketing posters to software prototypes. But as the innovation group gradually found its footing and cemented its role in DBS, Mr Goh's job scope changed and expanded too. Today, he scouts for the most exciting start-ups in Singapore and across the region and invites them to DBS to showcase their technologies to the bank's staff. "Using my skills as a designer, I have to think about how I can create experiments or 'proofs-of-concept' to show the bank how we can use something like robotics in our operations." Even as new jobs are being created, the digital revolution is also making obsolete many jobs that used to be mainstays in the finance industry. The threat is not visible just yet. In fact, according to data from the Ministry of Manpower, employment in Singapore's financial and insurance services industry has increased steadily every year since 2004. From 2014 to last year, employment in the sector rose by 4.5 per cent. However, National Development Minister Lawrence Wong, who is on the MAS board, told Parliament this year: "Looking ahead, we expect to see continued job creation in the financial sector, although at a more moderated pace." He noted too that "changes taking place are a cause for anxiety among affected financial sector workers, especially the mid-career professionals". These changes include the sluggish growth in the global economy, coupled with tighter regulations, which are forcing many global banks to downsize. Already some have made job cuts here, though Mr Wong noted that the impact on Singapore has been "relatively contained". Now, experts believe that technology will also threaten jobs, especially those that involve a lot of paperwork and manual labour which can be easily automated. And as robo-advisers, offering affordable investment advice based on algorithms, start to make headway in the investment space, banks might find it too costly to retain thick ranks of sales representatives. McKinsey's leader of financial services in Asia, Mr Joydeep Sengupta, notes: "Many areas today which are dependent on labour will get automated, especially back office jobs. A lot of the folks involved in underwriting will get automated. Front-end sales won't fully get automated but as consumers buy more products digitally, the number of workers needed at branches will fall." Workers in sales-related jobs will find their job scope changing considerably over the next few years, he adds, as customers who seek out the personal touch will demand much better and deeper advice. That will impact long-time bank employees like Ms Rebecca Yip, 37, who has worked in various United Overseas Bank branches for almost 12 years. She started out performing backroom duties such as cheque clearing, approving transactions and handling customers' inquiries. Today, she is a customer service manager and leads a team charged with cross-selling products and services. 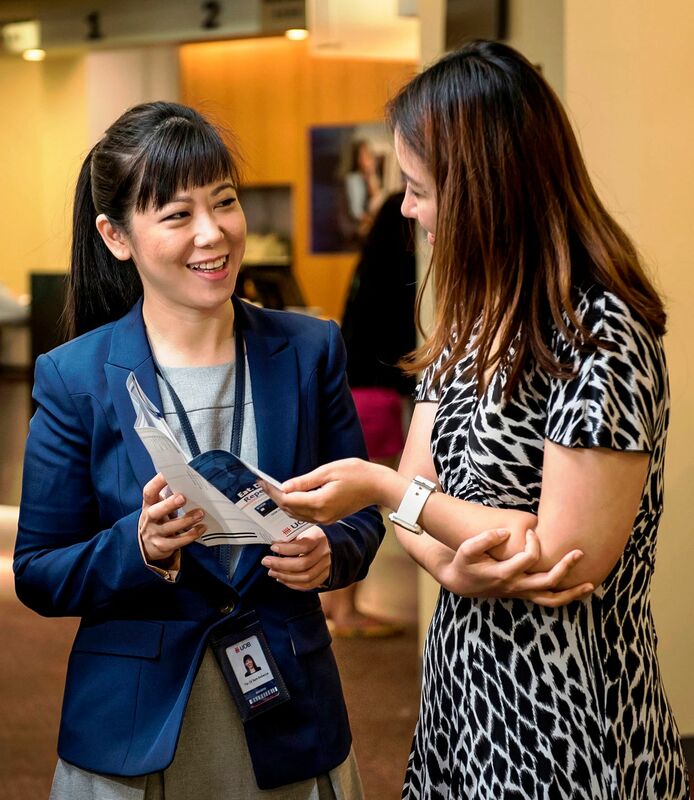 "In my current role, I interact a lot with many of the bank's various units, which enhances my knowledge, so I know I can move across sectors or across borders if I ever need to." Ms Yip also attends the bank's training programmes to keep her skills sharp. The Institute of Banking and Finance, which accredits training courses for workers in the sector, expects many changes to many jobs. "We're talking about a digital transformation throughout the industry. So we have to think about how we can embed discussions about digital solutions into every single one of our job segments. How is the foreign exchange trader affected, the stockbroker, the insurance agent, the compliance and risk manager?" says chief executive Ong Puay See. "What do you do with people who used to do support work using manual processes, whose jobs may be affected by automation? How do you ensure that a senior banker who has been laid off due to restructuring, and yet who is very qualified and has good experience, will be able to pick up new skills and continue to contribute to growth areas?" Indeed, finance professionals are quickly learning that they have to keep learning on the job - or else. "You have to be ready, relevant, resilient. It's no longer learn, work, retire, but learn, work, learn, work, learn, work, retire," says labour MP Patrick Tay, who chairs the Government Parliamentary Committee for Manpower. Fortunately, he says, local workers are largely aware of what they have to do to stay in the game. "When our PME (professionals, managers and executives) unit conducted a survey last year of 1,000 PMEs from entry level to C-suite across various sectors including IT and finance, the two skills they said they needed most urgently were IT and communications." Also useful are skills and knowledge related to regulatory compliance. Due to tightening regulations in the wake of the 2008 financial crisis, banks have stepped up their compliance, governance and risk management functions. Technology has also opened up certain roles to people who may not have prior experience, Ms Ong says. "In the past, risk managers may have been drawn from PhD holders with very deep mathematical skills who could build complex risk models," she says. But now technology allows some of these risk models to carry out data-analytics. That, in turn, has allowed banks to hire even diploma holders with no prior experience but with a good appreciation of risk management, governance and data-analytics for risk management roles. One significant trend to come out of the digital revolution so far is the fact that financial institutions now know they have to put customers first - for real this time. That is a huge shift from their approach to date, which has been to organise their thinking around products and how to sell them. With the change, DBS has even consulted anthropologists on "why people do certain things", DBS chief executive Piyush Gupta says. And it has begun hiring a whole suite of talents that it would not have just five years ago, such as data scientists and UX designers. Companies have their part to play in ensuring that staff stay relevant too, notes Accenture's senior managing director for financial services Jon Allaway. Accenture itself invested US$841 million (S$1.2 billion) in staff training and development last year. "In our operations business, we have 4,000 pieces of 'mini-bots' we use in transaction processing activities. This year, we've reduced over 10,000 roles because of this technology, but we haven't lost one person. We've reskilled our people to take on higher-value roles in analytics and other hot skills," says Mr Allaway. At the local banks, a big part of re-training staff and keeping them relevant in the digital age involves helping them to think more like entrepreneurs. DBS' hackathon programme puts executives in small groups and gives them a business challenge to solve quickly. UOB has started a similar programme. It also encourages staff to learn how analytics can help them enhance customer experience and develop relevant product and solutions, says head of channels and digitalisation Janet Young. DBS' Ms Tan says that such programmes have had a noticeable effect on employee mindsets and in the bank's work culture. "Now when we discuss ideas with the business units, you no longer hear people saying 'no' so often. Now people say, 'Let's experiment, let's try lah'."